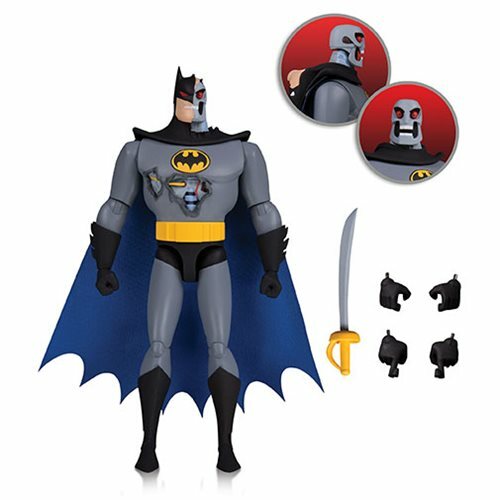 The caped crusader has dealt with many impostors and copycat Dark Knights over the years, but HARDAC Batman from Batman: The Animated Series was the first non-human of these mimics. H.A.R.D.A.C. (which stands for Holographic Analytical Reciprocating Digital Computer) was a supercomputer originally built to showcase the potential of AI for industrial purposes. Soon enough, the AI went wrong and created an android Batman of flesh and steel. Get yours and decide if this 6 1/4-inch tall action figure did have a silicon soul or not.